Acknowledgement of working in partnership to promote water safety in Cork. Cllr. McGrath addressing the gathering. Last Monday evening Aug. 21st an Awards Ceremony took place at the Crosshaven RNLI Station in Co. Cork. Cllr. Seamus McGrath deputising for the Mayor of Co. Cork acknowledged the partnership approach taken in Co. Cork in the promotion of water safety. He thanked Caroline Casey, Cork Co. Council Water Safety Development Officer, The Beachguard Teams, Cork Water Safety Area Committee, Colum from Inchydoney Surf School, The Irish Coast Guard & The Rnli Teams that have worked with our Beachguard Teams over the past few years. He acknowledged the ongoing education drives around water safety being promoted by Cork Co. Council throughout the year and encouraged schools to get in contact with the Water Safety Development officer to join in our Free Safety Events. He thanked the beachguards for their commitment & professionalism on our beaches. He referred to the statistics for the month of July 2017 for Co. Cork Beaches which are outlined below in the table for your information. He highlighted the number of accidents prevented in July and thanked the beachguard teams & all involved with their development. standards on our beaches would not continue to develop year on year. Congratulations to Front Strand & Claycastle Beachguard Teams who were joint winners of the Beachguard Team Cup for 2017. Awards were presented to Diarmuid O' Donnabhain, John O' Hara, Siobhan Bradley, Sean O' Keeffe, John Williams & Ann Curtin all of the Cork Water Safety Area Committee. The RNLI Crew in Youghal & The Coast Guard Team from Castlefreak both got Awards. Colum of Inchydoney Surf School also got an award. These awards were presented in acknowledgement of the assistance with CPD for the Beachguards in County Cork. Mr. John O' Hara, Chairman of the Cork Water Safety Area Committee & Ms. Fiona Murphy, RNLI Area Manager for Cork. Many thanks to Patsy & all at the RNLI Station for the use of their fabulous facility and for giving us a tour of the facility. A great evening was had by all. Hannah accepts award on behalf of Youghal RNLI Crew. Please continue to help us spread the Wise up around Water Message. Pathway to becoming a Beach Lifeguard ! 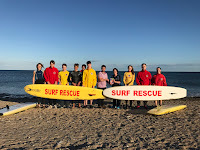 Practice pays off when you work your way up from an eager 8-year-old training with the Cork Nippers to securing a Beach Lifeguard position on one of our beautiful Cork Beaches. Surf Lifesaving originates from Australia but has gained popularity and has spread to the majority of countries by the sea. 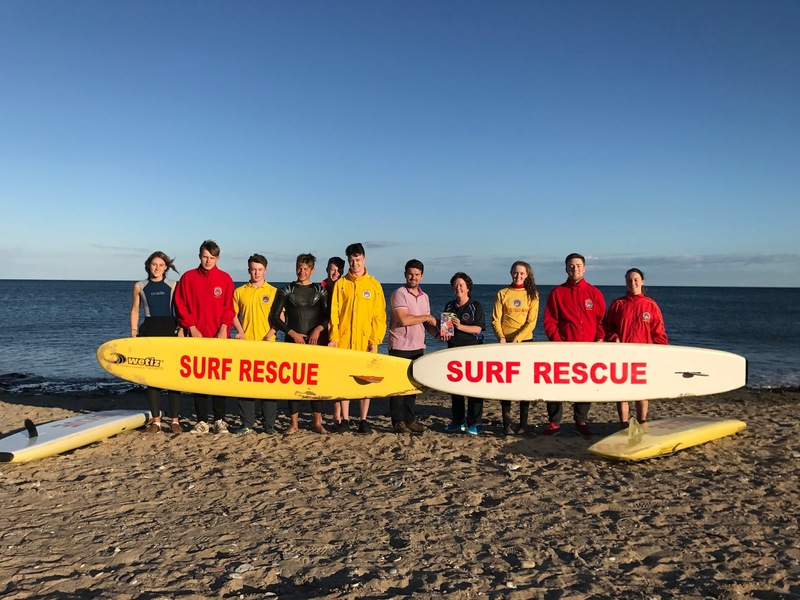 Surf Lifesaving is the competitive side of lifeguarding and gives Lifeguards a motivation to train hard and a platform to showcase their skills and talents. 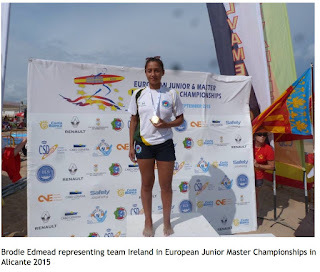 Individual races include sea swimming, board paddling, soft sand sprinting, fast reaction games and ski paddling. There are also team races which are “rescue-like” and enables lifeguards to use their team skills to rescue victims. Know what your getting into - Keep Safe around Channels & Rip Currents this Summer . As a lifeguard on Inchydoney beach, I deal with rip currents every day. For those readers that don’t already know what a rip current is, it is a narrow, fast-moving belt of water moving in an opposite or different direction to the water around. It is often described as a river in the sea. On Inchydoney beach there are two channels that act like rips. These channels are located at the west side of the west beach and the east side of the east beach and are used by boats to enter into Clonakilty bay. When the tide is going out both channels pull out to sea and when the tide is going in both channels pull into the bay.